We should never use the term food waste again. Doug Rauch, the former president of Trader Joes and the founder of Daily Table, says that nobody wants a second helping of food waste, but nobody is for wasting food. So take the words ‘food waste’ and flip them to ‘wasted food.’ Wasted food is healthy excess food. Daily Table is a not-for-profit retail store that offers a variety of tasty, convenient, and affordable foods that will help you feel and be at your best. It’s food that will keep you moving forward, instead of holding you back. The store is clean, inviting, and open to everyone in the community, because nobody wants to be treated like a second-class citizen. Customers do pay for their food at Daily Table, but often at pennies on the dollar. People want to make their own choices and they want to shop. Buying is like a treasure hunt. If you get someone to choose something for his or her self, instead of just giving it to them, they will likely value it more and use it instead of wasting it. Daily Table hopes to get its revenues “by” delivery of mission, not “for” delivery of mission. NGO executive directors spend most of their time fundraising. Mr. Rauch would rather focus on the mission. The organization has no intention to compete with other NGOs for funds in the limited charity pool. 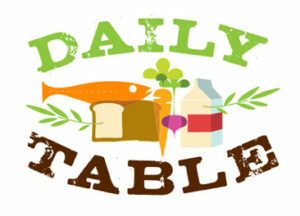 We at GoodFarms applaud the mission of the Daily Table. It represents a great example of using business to make a difference. The store makes nutritious food more accessible to everybody. It reduces wasted food and preserves dignity by giving customers choices. Stop by and check them out when you’re in the Boston area.